The highly successful Redmi Note 5 Pro that was launched in Ferbuary 2018 is receiving MIUI 10 Global Beta 9.3.25 update that finally upgrades it to Android Pie. 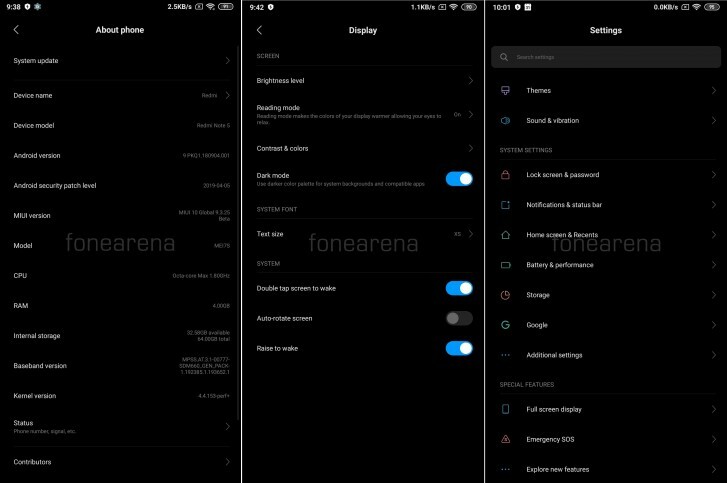 In addition to that, this beta update also brings system-wide dark mode and the Game Turbo to the Redmi Note 5 Pro. The latter is actually the Game Speed Booster that Xiaomi introduced with the Mi 9. This update also comes along with a redesigned Settings page. However, do note that this isn't a stable update. If you couldn't wait to get Android Pie and other features on your Redmi Note 5 Pro, you can flash it to your phone, but do keep in mind that beta builds often contain bugs that make them unsuitable for your daily driver.